This anthology crime drama tells a different story in each season. The first season chronicles a murder investigation in Louisiana and stars Matthew McConaughey, Woody Harrelson, Michelle Monaghan, Michael Potts, and Tory Kittles. The second is set in southern California and stars Colin Farrell, Vince Vaughn, Rachel McAdams and Taylor Kitsch. Ray, Ani and Paul take precautionary measures in order to evade detection. A lead at a pawn shop builds the case against a suspect in the Caspere murder. Meanwhile, Frank's road to legitimacy takes a new direction. Caspare's murder affects Frank and the Vinci Mayor's office. Officials investigate a bizarre murder and must get to the bottom of a web of conspiracy. In the second season premiere, the foursome cross paths during the investigation of the murder of a high-profile businessman. Is 'True Detective' Coming Back to HBO? The network has been reluctant to say whether or not it's renewing the hit series, but now the secret's out. Which 'True Detective' Co-Stars are Rumored to be an Item? Which co-stars are rumored to be getting pretty "serious" on set? "True Detective" is back for season two, and it's still kinda hard to follow. His film may have gotten negative reviews, but that's not enough to stir the notoriously mellow actor to harsh words. Dialogue! Burning stuff! Detectives! Stabbing! This trailer has it all. Check out the first teaser right here! She and Taylor Kitsch will be joining Vince Vaughn and Colin Farrell. This "Funny or Die" sketch is the best thing ever. True Detective is currently available to watch and stream on HBO. 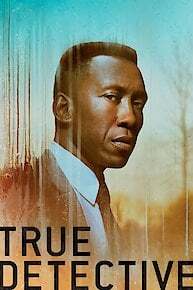 You can also buy, rent True Detective on demand at Amazon Prime, Amazon, HBO GO, HBO NOW, Vudu, FandangoNow, Google Play, DIRECTV NOW, iTunes online.